Congratulations to Barbara M. of St. Cloud, MN. She was randomly selected to win the FURminator deLuxe deShedding Tool for cats! Thanks to all who entered. Please keep reading Mad About Pets for all the latest pet news, reviews, and great contests! 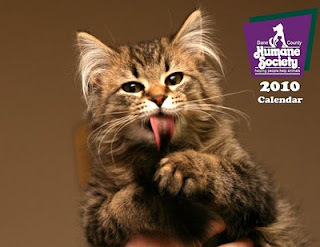 Join Dane County Humane Society (DCHS) in our 2011 "Make Your Pet a Pin-up" calendar photo contest! Not only will your pet be guaranteed a place in the limelight - but also your entry donation will support thousands of homeless animals that are still waiting for their own time to shine. The submission deadline has been extended to July 25, 2010! Now through July 25, 2010 we are accepting photos that will be eligible to win a spot in our calendar. We will also be opening voting NEXT WEEK for our Fan Favorites! And remember, EVERY photo gets a spot in the calendar. Grand Prize - one lucky pet will grace the cover of the 2011 calendar and receive three complimentary calendars to distribute to their adoring fans. First Place - eight lucky winners will have their photo featured as the "Pet of the Month" and will also receive a free calendar. Fan Favorites - four lucky companions will be chosen as featured seasonal representatives through online voting being held July - August and will also receive a free calendar. Runners-up - at least 60 pets will have their pics featured in smaller photos within the calendar portion of each month's page. Best Friends' Collage - ALL entries will be featured in separate collage pages within the calendar. A $20 entry donation fee per photo is requested. Every entrant that gives $20 will also receive a free calendar! All proceeds go directly to the homeless animals in our care. All entries will be blind judged by DCHS staff. BIG news from Tabby & Jacks! 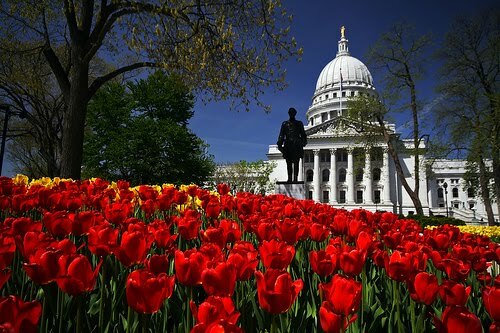 It brings us great excitement to announce that we will be opening a location on the Capitol Square this August! After much research in many of Madison's neighborhoods and the surrounding communities, we found the Capitol Square to be the greatest opportunity for us. The Central Downtown District currently is lacking a pet store and grooming facility and we are thrilled to fill this need! We will be located at 14 W. Mifflin on the Square located next to Coopers Tavern and conveniently located 1/2 block from State Street. Meter Parking is available on Mifflin or in the W. Dayton/N. Carroll parking ramp only one block away. We will provide the same human grade dog and cat food free of byproducts and fillers. Our focus still remains on fresh foods containing raw meats balanced for your dog or cat. Of course the unique accessories will also be plentiful including new lines of gifts for the pet lover. 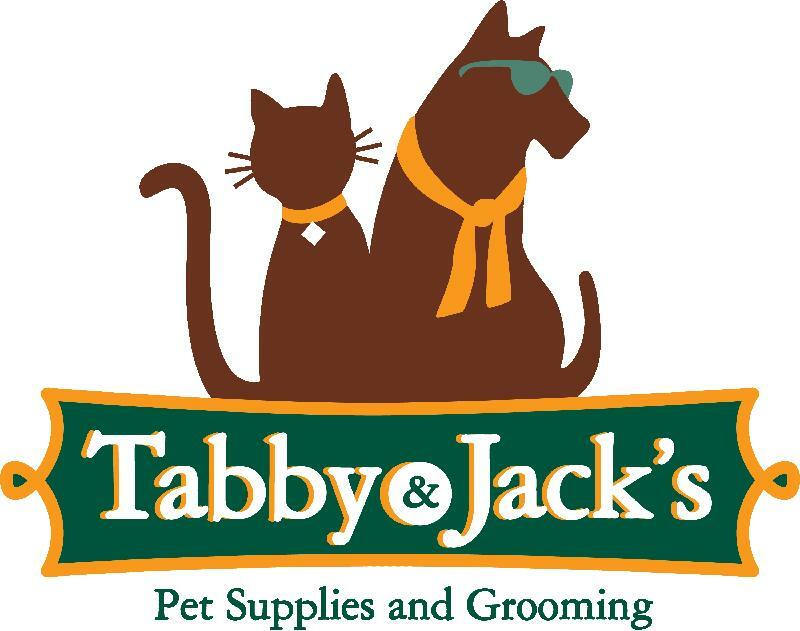 We will also provide full service grooming. Our holistic grooming salons provide the most calming environment for your pet. We do not use cage dryers and only use the highest quality products free of any chemicals. The 1-2 hour appointment is ideal for a trip to the square with just enough time to grab a bite to eat, some java or shopping on State Street. To make a Capitol Square location possible, we are moving our inventory and equipment from Struck Street and closing the west side store. We apologize for any inconvenience this might cause our west side patrons, and hope you understand that this was an opportunity of a lifetime that was too hard to pass up. Starting immediately, everything store-wide at the Struck Street location is 20% Off. We anticipate Struck Street closing permanently in approximately 3 weeks. Please stay tuned for our downtown opening sometime in August! I must say I wasn’t totally sure how The Perch from DKCat was going to go over with the Mad About Pets cats. As you may know from my earlier review of the SmartCat Ultimate Scratching Post, vertical scratchers don’t seem to be “their thing.” Nonetheless, The Perch sports a perch on top (hence the name) so I figured if anything it would at least be a place for the cats to hang out and survey the goings-on in the living room. Surprise! Whatever lack of enthusiasm the cats had for the Ultimate Scratching Post, they more than made up for with their love of The Perch. Within minutes of setting it up in the living room, Gabe was sitting on top of it. Andromeda was scratching it with enormous vigor. Even shy Rory was checking it out and playing near it! In short, The Perch has been a smash hit with the Mad About Pets cats! Here’s a little info about The Perch itself. 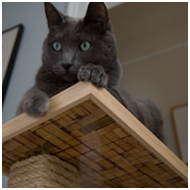 The 26” post is wrapped in thick sisal rope, a favorite texture for scratching with many cats. The post is off-center on the thick plywood base, and the base is covered with coarse carpet. This allows loads of room for kitties to scratch vertically and horizontally. Many cat owners believe that carpet should not be used on a scratching post as it encourages cats to use the stairs or other carpeted surfaces for scratching. However, the carpet by Interface Flor used on The Perch is unlike “regular” carpet used in homes; it is very thin and coarse, so there is very little chance your cat will confuse it with any carpet in your house. In fact, The Perch has stopped Andromeda from scratching on our stairs (which used to be a favorite pastime of hers.) She now uses The Perch instead. Atop the scratching post is an 11” x 11” perch for cats to sit and watch the world go by. It’s common knowledge that cats love heights, so having another place for kitty to sit up high and observe is a definite bonus. The Perch is available in 4 color schemes, all of which are very neutral and unobtrusive. The modern aesthetic is much appreciated in our household, as The Perch does not stand out terribly and become an eyesore as many cat scratchers and trees do. In conclusion, go buy a Perch from DKCat NOW! It rocks! -How did you get into designing pet furniture? I worked as an interior designer before starting DK Cat just over a year ago, and one of my favorite parts of that job was designing the details for custom casework and built-in furniture. (photo left: Dani Kilmer) I also enjoyed restoring old furniture in my spare time. So when we added cat #3 to the household and desperately needed a better cat tree, I naturally decided I would design and build one for myself. 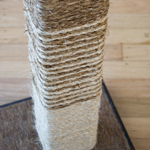 I started by overhauling an old cat tree I had purchased at a pet store years before -- replacing the shaggy dusty carpet with a better quality one, adding wood trim edges and re-roping the shredded sisal. It turned out okay, but still had some inherent clumsy design flaws, in my opinion, as well as crude connection details. 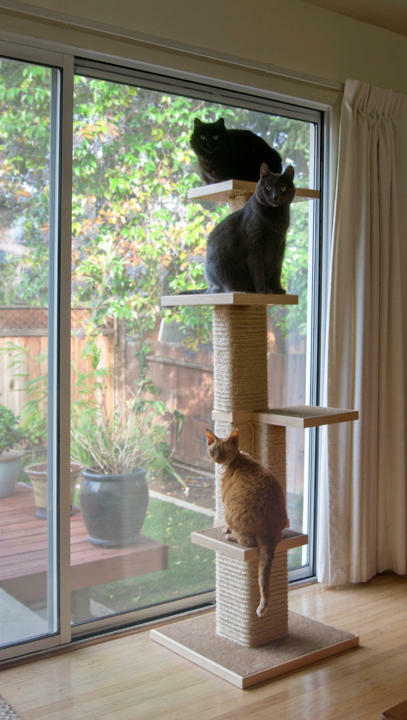 I then started working on prototypes for a new and improved cat tree that eventually became the “Platform C.” I gave them to friends and family, and it got great feedback from cat and human testers alike. I was looking for a career shift at the time anyway, and the slowing economy eventually provided the opportunity to take the leap and start a new business. -What is your design background? I studied interior design at the University of Missouri in Columbia, then moved to San Francisco and worked for 12 years at three different architecture firms on a variety of healthcare and academic projects. I got a lot of design education on the job because the bar was really high, and I faced such a variety of design challenges designing for sick people and students. I also actually come from a long line of Mennonites who were very inventive yet practical, and that sense of simplicity and authenticity was instilled in me and definitely influences my design tendencies. I am also always taking design-related classes like photography, painting, woodworking, and have been studying Visual Arts at the University of California - Berkeley’s Extension for the past two years to further my appreciation and practice of art and design. -How do you choose which materials to make your products from? I choose materials that are natural and/or eco-friendly, first and foremost. I often rely on what I learned about sustainable materials when I was working as a LEED accredited interior designer. I knew from experience that two of the primary materials used in making cat furniture, carpet and plywood, both are indoor air polluters and can be toxic (and ugly!). So those were the first two things I set out to improve. I knew about Interface Flor’s high quality carpet tile, which is better for indoor air quality and uses recycled materials, and I found a formaldehyde-free plywood made from bamboo. I also am lucky to have access to multiple green building salvage yards in the Bay Area, where I gather reclaimed wood studs for the scratching posts instead of buying new ones, which means fewer trees are cut down. They get completely covered in sisal, so it doesn’t matter if they are not brand new. The sisal and wood trim are both new materials, but completely natural. I only use non-toxic wood glue and water-based stains and finishes. Other than the “green” criteria, I look for things with textural qualities that make interesting combinations with the other materials. -What is the manufacturing process like for your furniture? I currently make everything myself, with some help from my husband for the heavy lifting. I work out of a small workshop attached to the house (aka the garage). The process involves a combination of pre-cutting certain components in advance, such as the plywood structures and wood posts. After that, each product is made to order. I start by making the perch(es), which involves attaching the wood trim to the bamboo plywood, then staining and/or finishing the wood trim. When those are finished, the posts get attached, then wrapped in two widths of sisal rope (for enhanced texture and improved durability). Finally, additional perches are attached (depending on the product) and the carpet tiles are inserted. The process includes a variety of steps, each rewarding in its own way -- cutting wood is loud, dirty and empowering, while carefully painting on the wood finishes is quiet, calming and almost Zen-like. -What is your favorite piece of pet furniture you've designed? It is hard to decide which is my favorite! It is probably the one the cats like the best, which is the real goal in making them, and that would have to be the “Platform T,” as I have dubbed it. It is a custom taller version of the 26-inch high “Platform C.” (photo left) It is five feet tall and has four perches in addition to the base. All of the perches are anchored to a large central sisal post, and that post is exposed on one side to allow them to actually shimmy up the full height of the tree. It lives next to the sliding glass door, where the views of birds and squirrels are the best. All three of the cats can fit at once to watch the outdoors or play together. I have been working on developing this design for DK Cat as well, but unfortunately have run into some roadblocks when it comes to shipping. It is also a little big to manage in my small workshop by myself. I have started working on a four-foot high version though, which I anticipate will be easier to ship. Hopefully you will see it on dkcat.com sometime this year! Up next...Mad About Pets' review of the DKcat Perch! Review: Furminator deLuxe deShedding Tool + BONUS GIVEAWAY! It's no secret to readers of Mad About Pets that I am crazy about the FURminator. I love it, I swear by it...I make my friends and family each buy one. If you're new to the world of the Furminator or didn't get a chance to read my original review, check it out here. When I wrote my intial review of the FURminator, I was writing about the classic deShedding tool for cats. As it turns out, there is a whole new "deLuxe" line of products available since I wrote my review, with upgraded features from the original brush. Imagine my surprise when the fine folks at FURminator sent me a FURminator deLuxe deShedding tool for cats to try out! Yippy!! The first thing I noticed about the deLuxe FURminator is it is significantly less heavy than the previous version. The head of the brush weighs much less, so there isn't as much of a possibility of knocking your unsuspecting pet unconcious while grooming him as with the classic version. The deShedding blade is the same size in the new version, so the reduction in mass doesn't sacrifice the quality of the blade. The handle has been totally redesigned to make it an ergonomic fit for your hand. This is a major improvement over the classic model, as maneuvering the deLuxe FURminator is positively a breeze. The classic model did leave a bit to be desired as far as ease of use, so the new handle is a welcome change. 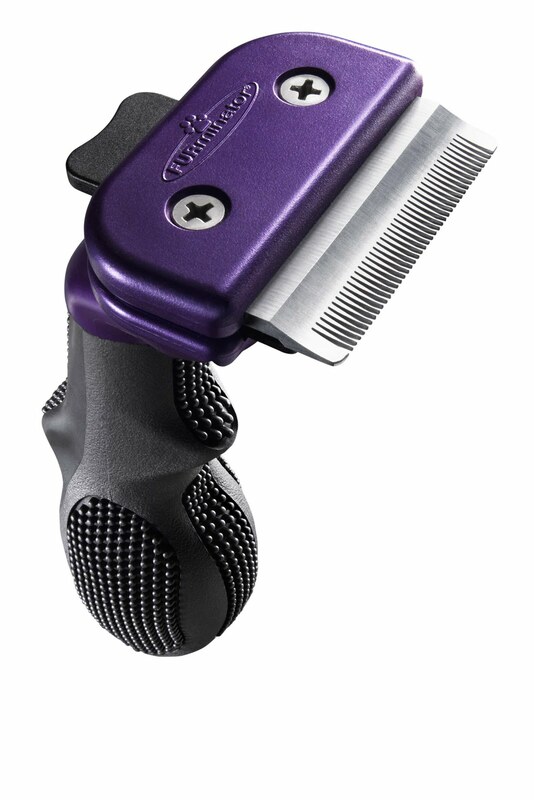 Rounding out the new design features is a quick-release button to release all the hair you collect with the touch of a button. This is nice when you really get into a good grooming rhythm, so you can release the hair into the inevitable pile 'o hair with one hand rather than stopping what you're doing and collecting it in your hand. 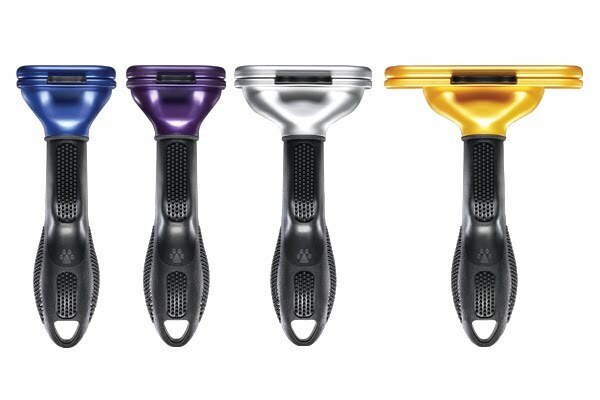 The changes to the new FURminator are very nice, and both new and old users of the FURminator deShedding tools will enjoy the deLuxe line. Just as with the classic model, I just don't have enough good things to say about the FURminator! It's an awesome product!! In addition to sending me one to try out, the FURminator folks also sent me a FURminator deLuxe deShedding tool for cats to giveaway! All you need to do is leave a comment on this post telling me why you'd like to win the FURminator. The giveaway begins today and ends at 11:59 Central Time on July 18, 2010. I'll then be drawing a random winner from all the entries. Breaking news: Dwayne Johnson sentenced in puppy-killing case! Dwayne Johnson, the 35-year-old Madison man who plead no contest to charges of beating a puppy to death with a flashlight in December of 2009, was sentenced today. 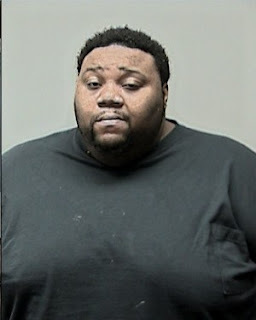 Dane County Circuit Court Judge Maryann Sumi sentenced Dwayne Johnson to 2 1/2 years in prison, and 3 years of extended supervision. Justice is served! Click here to read about the incredibly cruel charges against the defendant. Thanks to CSN Stores, I was able to try out a SmartCat Ultimate Scratching Post over the last month. The Ultimate Scratching Post is seriously the Rolls-Royce of scratching posts…at 32” tall it is tall enough for even the lengthiest kitties to accomplish a full stretch, and the best part is it’s HEAVY. It sits on a 16”x16” wooden base which totally eliminates wobbling, making it safe for vigorous scratchers. There is no need to worry about it tipping over—it simply won’t happen! The scratching surface is a sisal weave, the preferred surface for many cats. It has a nice, rough texture which cats can really dig their claws into. 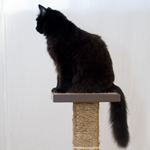 There is also the option to purchase a perch that slides onto the top of the scratching post, making a nice place for cats to jump onto. My favorite part about the SmartCat Ultimate Scratching Post is that it has Wisconsin ties! The company who produces it, Pioneer Pet Products, is based out of Cedarburg, WI. SmartCat was founded 20 years ago by Betsy Limbscomb, who also heads up Cats International. Cats International is a free service to cat owners which offers practical advice regarding behavioral issues, training, and general cat ownership. Ms. Limscomb’s extensive knowledge of feline needs and behavior helped her to come up with the design for the Ultimate Scratching Post and make it the well-researched and quality product it is today. Unfortunately, the Mad About Pets cats were less than thrilled with their test-drive of the SmartCat Ultimate Scratching Post. Out of our 3 cats, 2 were declawed prior to our adopting them. They enjoy using a post occasionally, but their scratching needs are no where near as detrimental as our third cat…the fully clawed Birman. I tried every trick in the book to get her to utilize the Ultimate Scratching Post, but she simply wouldn’t have it. I’ve realized that the Birman tends to have a horizontal scratching preference, so the tall vertical shape did nothing to appeal to her scratching sensibility. I will note that many users have successfully laid the post down to create a horizontal scratching surface (photo right), but my husband is incredibly aesthetically-inclined and would not prefer a 32” scratching post lying sideways in our already-cluttered living room. It should be noted, however, that SmartCat does offer a horizontal scratching pad in their line of products, so they have your cat covered...regardless of their horizontal v. vertical scratching inclination! Since our cats were not enthralled with the upright stature of the Ultimate Scratching Post, I sent it home with my mother who owns two fully-clawed cats. These cats have effectively destroyed the computer chair in her office, as they absolutely love to sink their claws into the burlap-like material from which it’s made. Based on the appearance of her office chair, her cats clearly prefer vertical scratching! As you might have guessed, they loved the SmartCat Ultimate Scratching Post. My mom has told me that they can really sink their claws into the sisal and go to town on it, much to the delight of her office chair. She claims she may actually be able to get new furniture soon, thanks to this post! 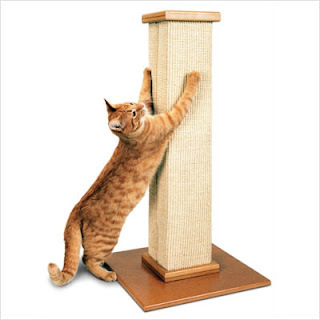 In conclusion, if your cat is a vertical scratcher (or you have the room to lay the post horizontally), the SmartCat Ultimate Scratching Post is one of the most well-designed and intuitive scratching posts on the market today. It is far more durable than cardboard or carpet posts, and therefore is an excellent investment at a price of $55 (this low price available at CSN stores.) In addition, its ties to Cats International ensure that you will always have assistance available in helping to post-train your cat and get the most out of your scratching post. And the cherry on top? You’re supporting a Wisconsin business when you choose SmartCat and Pioneer Industries.